How to Recover Deleted Formatted Audio Files from Digital Camera’s Memory Card? 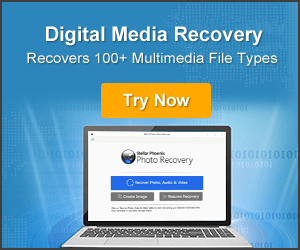 Overview – In order to restore deleted or lost audio files from digital camera’s memory card, you will need the help of Digital Media Recovery Tool. There are many users who have used this recovery tool to restore various audio file formats from various digital cameras. Digital camera is a modern device, use to capture memories which like to have forever. These days, everyone keeps the digital camera and uses it for different purposes; you can take snaps, videos, audio recording which presents the valuable moments of your life. But some day you observe that you have lost the files from the memory card connected to the digital camera. But now you don’t have to worry for the valuable files that you have lost it. Professional tool has been designed to recover it back. You may face the problem or threats in your beloved digi camera like unknowingly emptied trash, due to malware errors, losing digital camera media files, etc other than audio, pictures or video files because of digital camera malfunction, human errors or card system corruption. Some of the users think if the data has been deleted or removed data is gone forever but still you can get it back. 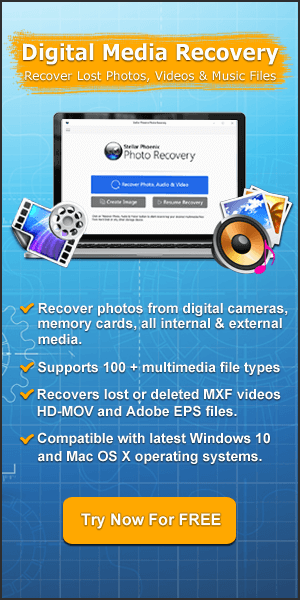 You can recover all the data files from Photo Recovery Tool. Restoring lost files from a digital camera is not a simple task. User need to perform the file rescue measures in a right way as probable. Software supports the Audio Files: MP3, M4A, WAV, WMA, MIDI, etc. Digital cameras/camcorders: PEN, Compact Cameras, OM-D, Digital SLR, etc. Digital audio/voice recorder: VN-722PC, WS-823, DM-901, etc. Other brand of devices: Canon, Sony, Nikon, Samsung, Kodak, Panasonic, etc. Memory card: SD (Micro-SD, Mini-SD, MMC, SDHC) card, XD picture card, CF (compact flash) card, USB drive, etc. This tool can apply on this different digital camera like Nikon, Sony, canon, Olympus and Fujifilm.